Gear pumps are amongst the most common types of positive displacement pumps. Having advantages such as small size, continuous and smooth output flow and high performance, these pumps are mainly used for handling high pressure fluids and flow metering. But the most important weakness of these pumps is the severe radial leakage at high pressures. Hence, it is important to study the leakage types and the methods of eliminating them in order to decrease any performance lost. In this study, a simple external gear pump has been studied numerically, analytically and experimentally. Using a commercial software, the pump leakage, volumetric efficiency and power consumption are studied numerically with respect to cavitation modeling. The numerical result shows good agreement with the experimental and analytical data. A new set of decompression slots on the gears teeth is introduced which eliminates the weakness of the prior methods. The results show that it has eliminated high pressure pulsations and catastrophic cavitation during the meshing process of the gears without increasing the radial leakage. As a result, the pump overall performance increases with smoother outflow. Also, the effect of gear teeth radius/teeth tip length on the pump performance has been studied in various working pressures within a case study. This investigation can be an essential and simple tool to design high performance gear pumps. 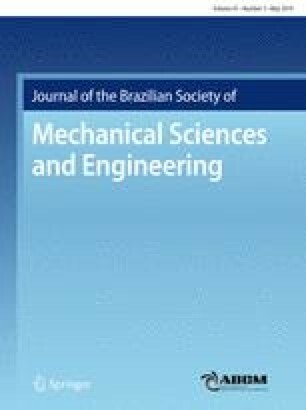 Technical Editor: Jader Barbosa Jr., Ph.D.